Great page, I agree on several points. Personally I love Beefeater – Red Martini – Red Campari. But I also like very much with Carpano Antica (which should be the nearest to the original flavour), and Tanqueray too. – about adding a little more of Gin: I’m from Florence, Italy, where Negroni is the most popular cocktail. Yes is true, it’s three equal parts. add two equal part for the rest of the glass, garnish with a slice of orange. That was fantastic, a little less sweet, but very well balanced and smooth. I use to make it the same way and I ensure you that’s great. Please believe me, I drunk a lot of terrible and awesome Negroni and I know very well what I say! Thank you very much for your reply. I would never attempt to correct a Fiorentino on proper Negroni etiquette, and Mr. Vadorini sounds like he makes an incredible drink. I hope to be able to have it someday. I suspect most bartenders who truly love Negronis have a complicated relationship with the proportions. Because yes, the sweetness is a small problem, and my bartender instincts tell me to add more gin to balance it out. And yes, with more gin, the drink is more balanced, as we normally understand the concept. But there’s something magic about an equal parts Negroni, and it frustrates me that I can’t describe it. At equal parts, it achieves synergy — the whole greater than the sum of the parts — that seems, to me at least, to go away when you mess with the proportions. To put it another way: I find it at 2:1:1 (or 3:2:2) to be a delicious and well balanced combination of gin, Campari, and vermouth. But I find 1:1;1 to be a perfect Negroni. I hate being so mystical, but there are a small handful of cocktails that seem to call for it. Dear Jason, I deeply understand and appreciate your point of view! As do I for yours. Thank you again! Hey Jason Great post , really agree with your points. I just want to introduce a social drinking app that spread the word and let us help you find more drinking buddies. Reconnect with existing connections or create new once. Excellent and informative, especially for those of us who know little about it. You should have included a shot of the two of you, just to see if you were still standing! A great post – thoroughly enjoyed it! talking abot online. You certainly understand how to bring a problem to lighbt and make it important. story. I can’t believe yyou aren’t more popular since you definitely have the gift. Amazing Post! I really enjoyed my visit here.. Thanks for posting the results of your little experiment! I know you stated at the beginning that you were only tasting 5 “fairly standard” gins but I’m surprised by your choices. Most of those gins are either gross or grossly overpriced. There are SO MANY excellent gins being produced today. And Hendrick’s is in its own category…its kinda different. 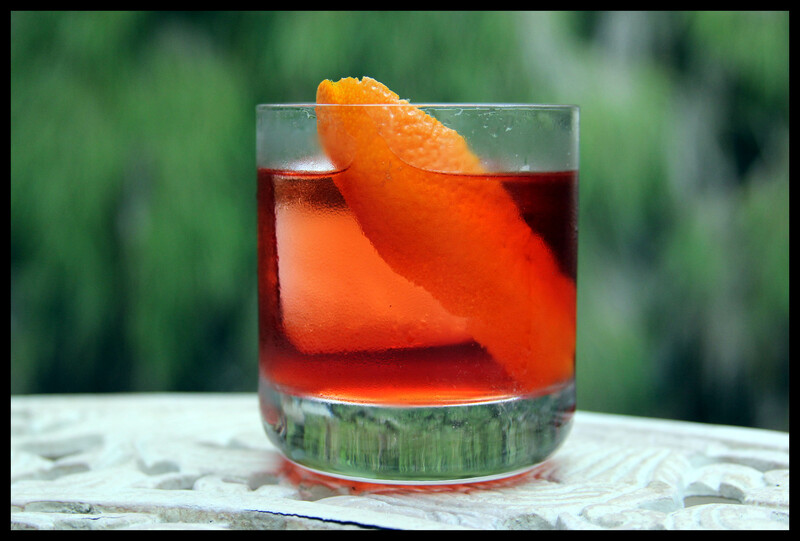 Try a Negroni made with Barr Hill Gin (if you can find it). I think that’s the best Negroni I’ve ever had. There is a distillery here in DC (One Eight Distilling) that is producing my current favorite “Ivy City Gin”. For a more accessible gin I’ve really been diggin’ New Amsterdam. I don’t understand why its so cheap but it makes a pretty damn good Negroni! I like mine with Carpano Antica and Campari. I’ve also started experimenting with Bitterman’s Xocolatl Mole bitters. 2-3 drops is super yummy! So I really have to remember the rules. Aside from the fact that you have given us a better understanding about negroni and everything about this kind of drink, you have broaden our knowledge as well that there are really kinds of drink in the world that we have to know also. And thanks to your post because I got to know another drinks and hopefully, I’ll have a taste of it too. I’ve been unavoidably detained by planning a wedding for the last 6 or so months. Then I got married a week ago, and am writing from Thailand, where cocktails don’t really exist, and the only single thing I’m excited about when this trip ends is renewing the writing on this blog. Congratulations! Have a great honeymoon! Hey Jason, have you had a chance to try a Negroni made up with cocchi VdT and Martin Miller’s Westbourne Strength? I tend to agree with you on most things and getting mixed opinions on Martin Miller’s.. I can’t speak to Miller’s negronis because I haven’t had one in ages, but I like Miller’s Westbourne as a gin. I find the cucumber presence extremely pleasant. I don’t see why it wouldn’t work. I just made one of these with your winning combination and it is delicious! Thank you! Please also consider Montanaro Vermouth. Absolutely brilliant, also in Negroni. Made from Moscato wine, instead of the flat and dull Trebbiano (or Ugni blanc, which is the same). A formidable vermouth!! I’ll pick up a bottle first thing as soon as I find it. 2:1:1 I’ve had it so many in Florence and that’s always the proportion they make it, and I love it this way! It looks like I’ll have to try a better vermouth, since I didn’t know better when I bought Martini & Rossi for my first bottle of sweet vermouth. That might also explain why I settled on a 3:2:1 proportion. Lio. the bartender of Florentine Harry’s Bar used to add more gin and less bitter Campari, ’cause americans didn’t like the taste of sweet Campari. We are realeased the book of the history of the Florentine Harry’s Bar. The text is both english and italian. Just to make an advice to people who come to Florence! How have I missed this site for so long? Funny, informative and engrossing. Thank you! And BTW, I agree with you on the M&R in a Negroni; not satisfying. Never tried Hendricks in a Negroni, probably never will. And I skip the bitters. Maybe I should revisit that ingredient? And bitters? What bitters? From where I sit, Campari’s bitter enough. Great post, thanks. No mention of 4 pillars gin, or have I been ‘taken’ believing this to be the gin of the Negroni? I am a huge lover of Negronis and your description of a Negroni vs. a cocktail made with gin, sweet vermouth, and Campari was perfect! 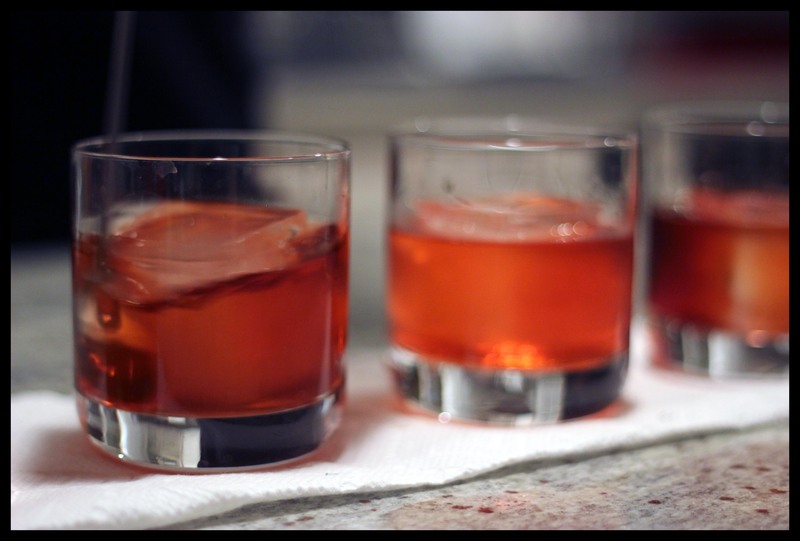 I am going to have to try your #1 combo – I’m always looking for the perfect Negroni. Thanks! Thanks for the lesson and entertainment, it was enjoyable and appreciated! Keep up the good work/play! Thank you Sir. This is a fine piece of work. Read as I tuck into a Dolin/Gordon’s Negroni. Great work. I’ve done something very similar to this with M&R, Cocchi, Dolin, Punte e Mes and Ford’s, Tanqueray, Nolet’s, and Tanq Old Tom. I only did it comparing the Vermouths. I got exhausted because I was rushing. Anyway, Punt e Mes & Cocchi were tops. 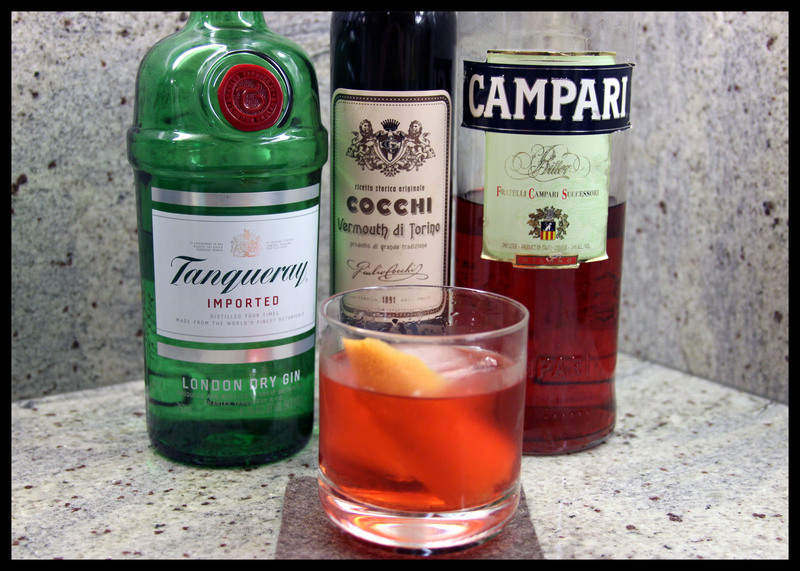 My absolute favorite Negroni is Ford’s Gin, Cocchi Vermouth di Torino, and Campari. Ciao Daniele, actually I don’t think people actually eat the orange slice. Yes, sometimes it might happen, but it’s not a rule! Ciao Daniele, I don’t think you have to eat the orange slice at the end. A few people might do. I sometimes do that, but mostly don’t. It’s not a rule. And yes I agreed on your opinion about slice and peel. Peel is not bad, ’cause gives an intense perfume and flavor, but the slice add some juice that is important for the balance. I love the ‘scientific’ approach to this! Thanks for recommending a some alternative vermouths! Alas, Campari isn’t what it use to be since they changed the formulation a few years back. For a truly wonderful Negroni substitute it with Gran Classico Bitter. When I was younger I used to like a little more gin, but now I appreciate the original 33% distribution.